One of the quickest and easiest ways to improve the look and feel of your home, while also increasing its value is to renovate various parts of your home. As time goes by, older styles and models become out of date and lack that modern feel or updated design. As Orlando area home renovation specialists, The Homestyles Group offers Dr. Phillips home renovations at affordable prices and with quick turnaround times. Whether you are looking into a Dr. Phillips bathroom renovation or Dr. Phillips kitchen renovation, The Homestyles Group has the experience and expertise to make your dreams come true. Our team of in-house designers can put your together a design that mimics that which you wish you currently have, and we will complete it within a timeframe that works for you and your family. 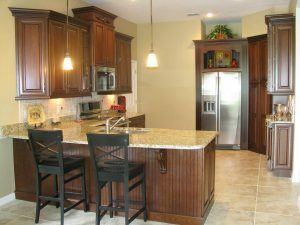 As an Orlando custom cabinet company, we also have a wide variety of cabinets in all shapes and sizes for you to choose from in order to obtain the feel you are looking for. Everyone spends a considerable amount of time in their bathroom over the course of their lives, so why not make it a room you enjoy being in by upgrading the decor and bathroom appliances? The Homestyles Group specializes in Dr. Phillips bathroom renovations that are customized to meet the needs that you specifically have. Whether it be new tile, new sinks, a new shower, a new toilet or all of the above, we have years of proven experience to ensure you are happy with the look and feel of this all-important room in your home. With a team of in-house design experts and construction crews with years of experience, we spend the time needed to make your Dr. Phillips bathroom remodel exactly what you envision. With affordable options and custom cabinets and vanities, we can take your old, outdated bathroom and launch it into the 21st century. Often times we find that the first room in a home that our valued customers would like to renovate is their kitchen. When we undertake a Dr. Phillips kitchen remodel we include you every step of the way to ensure that you get the kitchen of your dreams. 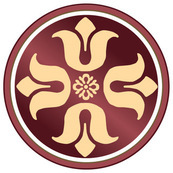 With access to Orlando custom cabinetry, a team of seasoned experts and reliable construction crews, The Homestyles Group is here for your every need along the way. The kitchen is often the centerpiece of a home offering a social area as well as a functional space for creating delicious meals for you and your family. Why shouldn’t it also be a room that you love spending time in? Get in touch with us today for a free estimate on your Dr. Phillips kitchen remodel – you’ll be happy you did! Contact your Dr. Phillips, FL Home Renovation Contractor Today! We have been the go-to custom home renovation experts in the Central Florida area for years now with countless successful remodels and satisfied customers. With our easy to access Orlando showrooms, dedicated design experts, and reliable construction crews we can ensure that we deliver a home renovation that is affordable and within a reasonable timeframe. Contact us today to speak with an expert who can provide you with a free estimate!